Thank you for stopping by! 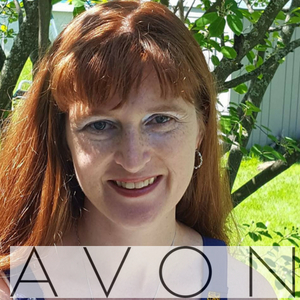 My name is Cascia Talbert and I am your Avon Independent Sales Representative in Crystal Lake, Illinois. I serve all of McHenry County and on up to the Wisconsin border. I was born and raised in a small town outside of Madison, WI where I grew up as the youngest of five children. I am a Packer fan, Cheesehead and love Wisconsin beer and brats. I am also a very devout Catholic and a parishoner at St. Elizabeth Ann Seton Catholic church. There I play my flute at the 9:30 mass on Sundays and teach Religious Ed to fourth graders. My faith is very important to me and it is the center of my family. I am also a busy mother to five special needs children. My home is chaotic and messy and we are always running to doctors appointments, after school activities and sports events. I love my busy lifestyle and spending time with my children. They are the center of my world. I started selling Avon products in August, 2018. I want to give back to my community of Crystal Lake through Avon Fundraising, I love their products and could use a little extra money so I can stay home with my kids. On this website you will learn more about me, information on purchasing Avon products, how to hold a fundraiser for your organization, how you can earn $25 in free Avon Products and how you can sign up to sell Avon just like me.